Thank you for looking at this truly unique and rare automobile. 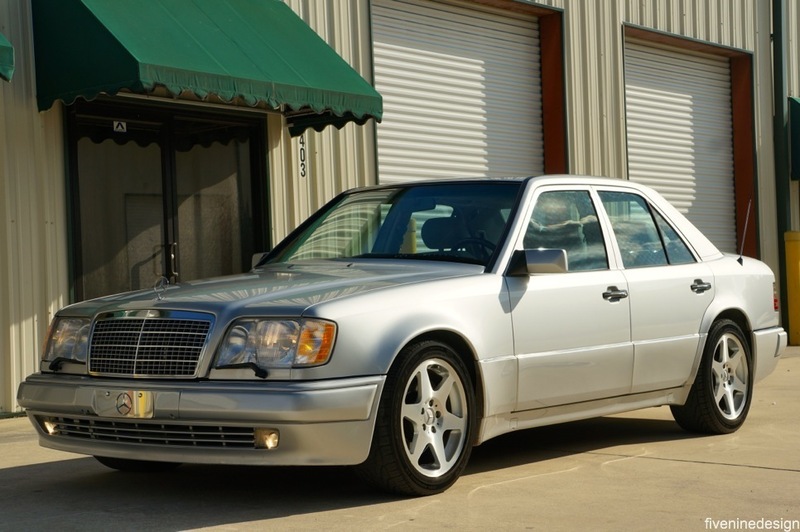 fiveninedesign is proud to be able to represent this 1994 Mercedes Benz E500. This one of a kind, extremely rare vehicle, is probably one of the best examples around, showing it’s original condition. This car was not restored, and this is the condition it is STILL in, to this day! 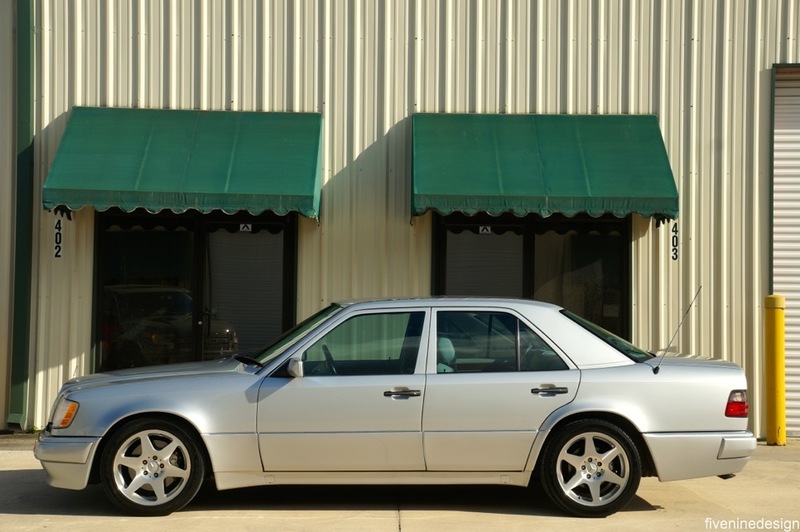 The W124 Chassis 500E and E500 models are known to be one of the rarest German sedans ever made. These machines were hand made by Mercedes Benz AND Porsche, and each car took over 18 days to complete. They are the real deal. 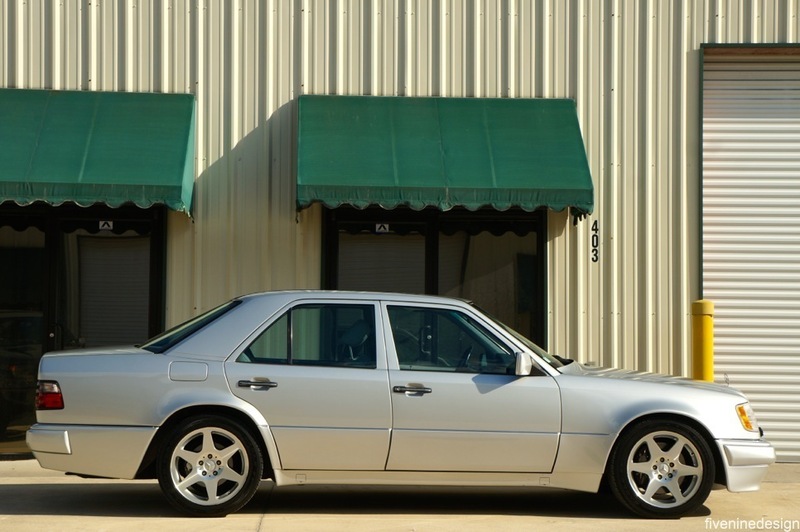 The original wolf in sheep’s clothing, the W124 500E and E500 were most noted for their AWESOME factory flared fenders. If you are looking at this ad, then you already know what this car is, so I will spare the details. 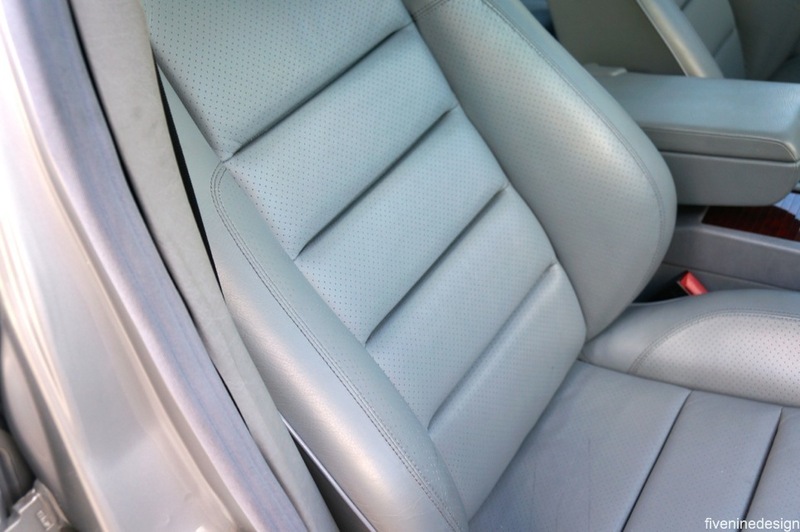 This model is finished in Brilliant Silver over Ash Gray Leather interior. 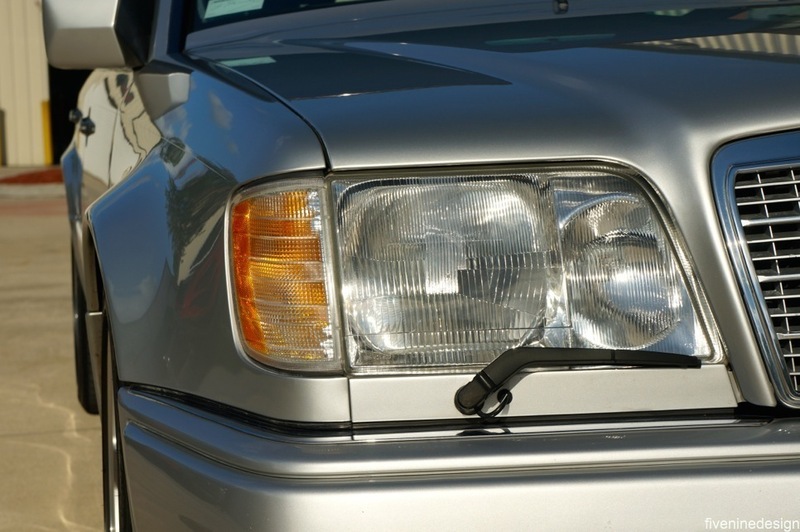 The Brilliant Silver paint shines IMMENSELY, and shows very little wear. Granted, the car is 20 years old, so there are a few scratches here or there (see pictures below). The car has had a few panels repainted due to scratches, probably some 15 years ago, but there is absolutely ZERO body damage on this car, and there never has been. The car has a handpainted silver arrow pinstripe, showing great patina, on both sides. The front grill was painted (when NEW) to match Brilliant Silver as well. The E500 Badge on the rear was removed (at NEW) to keep the sleeper nature of the beast in line. This badge can be included with sale if wanted. 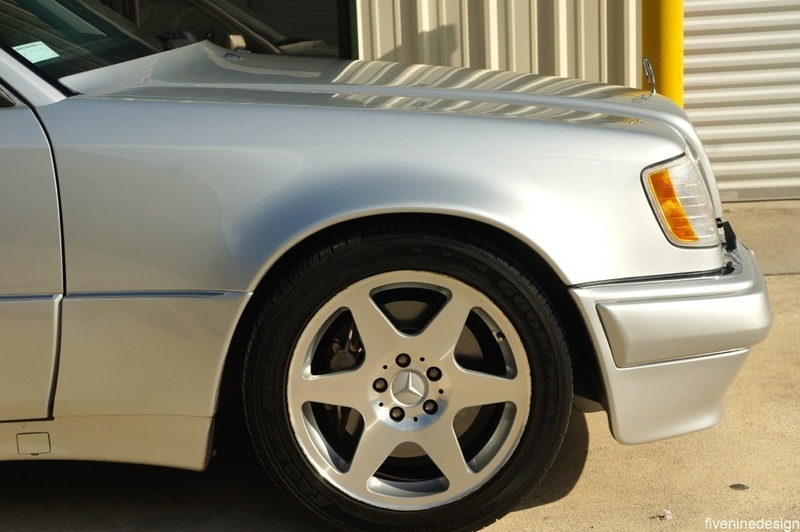 The EVO wheels, which are near impossible to come by these days, are in excellent condition. There is slight curb rash on a few of them, but no major gouges or nicks. I would not recommend refinishing them, due to the originality of this E500, but if desired, they can be refinished in Silver prior to delivery as well. The tires are the same that have been on the car since the late 90’s. This car sat a lot, therefore the tires were never changed. 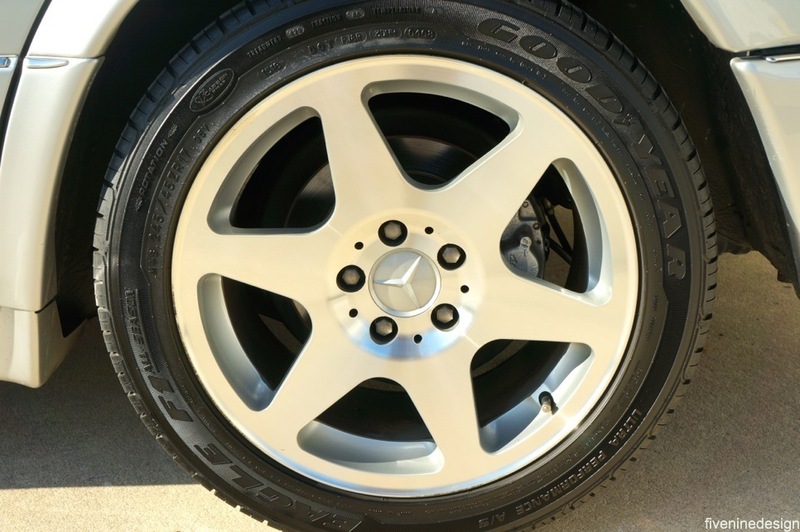 New tires would be recommended, but these period correct tires do look great on the car. 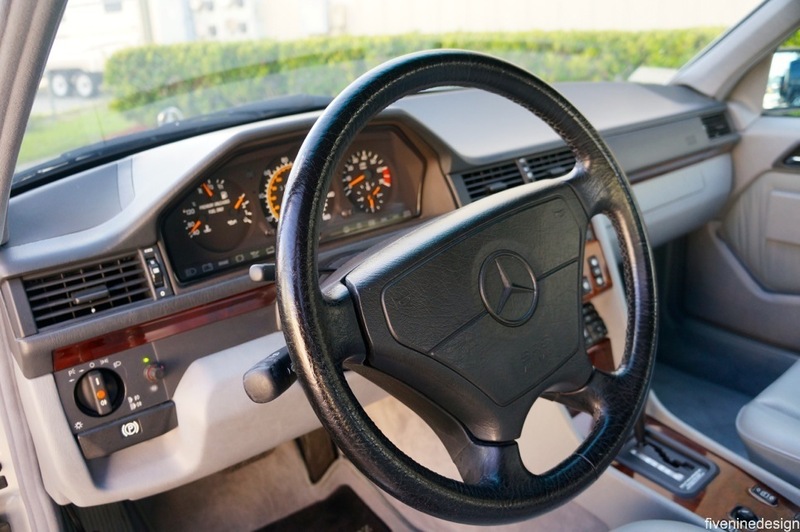 The interior of this E500 is immensely clean. The leather is not cracking, anywhere. The seats show very little age, almost non existent for a 20 year old car, and the same goes for the dash board. Everything works in the car, I repeat, everything works. 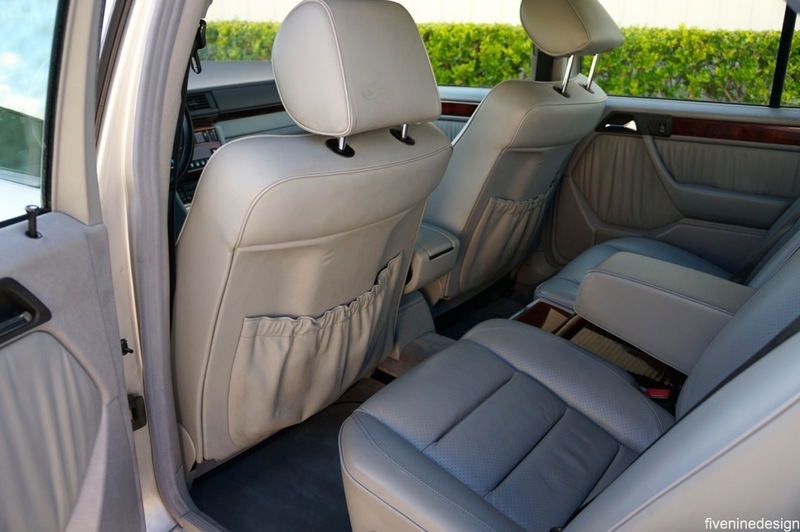 From the seat heaters, to the rear power sunshade, to the Car Phone, it all is in tact. 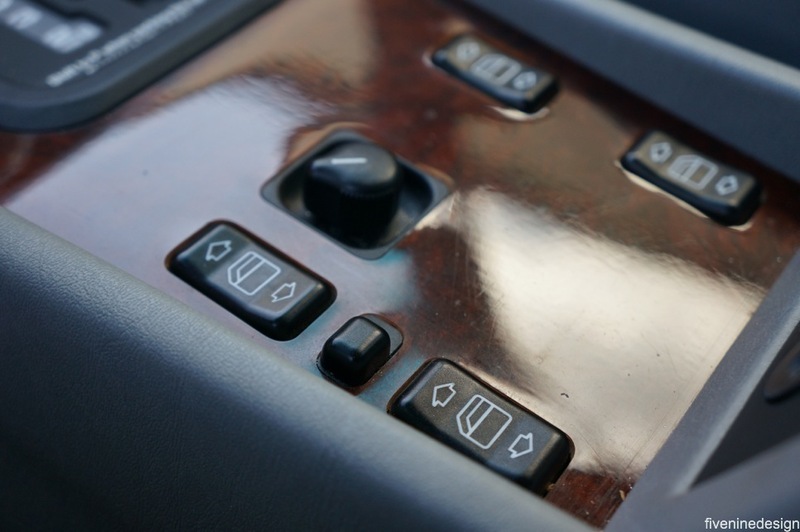 The car also has a built in K40 radar detector, that was installed at new prior to the car’s delivery in 1993! The install was ahead of it’s time, but that goes current with the previous owner of this vehicle (my late father, Robert F. Snodgrass). 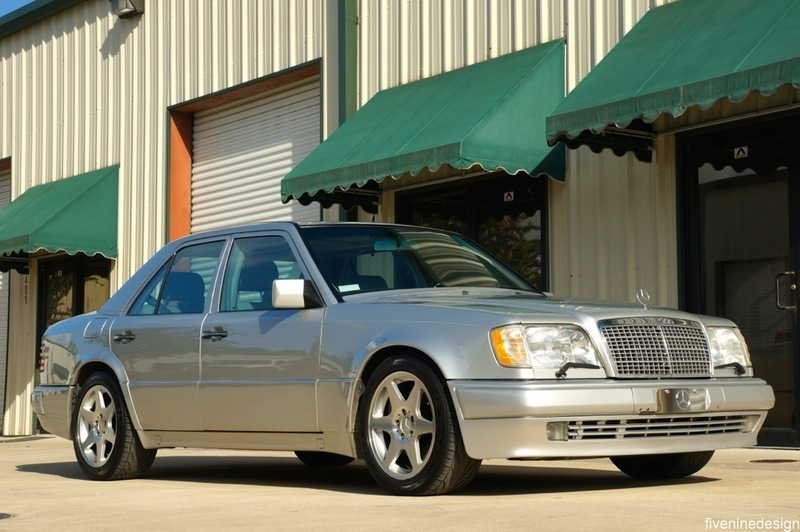 This E500 has the very rare and desirable 4 seater option, with the burl wood center console replacing the 5th seat in the rear. This vehicle also has a OEM CD Changer in the trunk. The headliner has started to sag in the car. It is not something that I would replace, as that MB TEX Vinyl they use is irreplaceable. A cloth headliner would ruin the handmade feel of this impeccable machine. It is not bad enough to worry about, but I am sure it is somehow something that could be fixed. The same treatment is going to the door pockets on the front doors. (see pictures for said flaws). Mechanically, this car is in perfect working order. 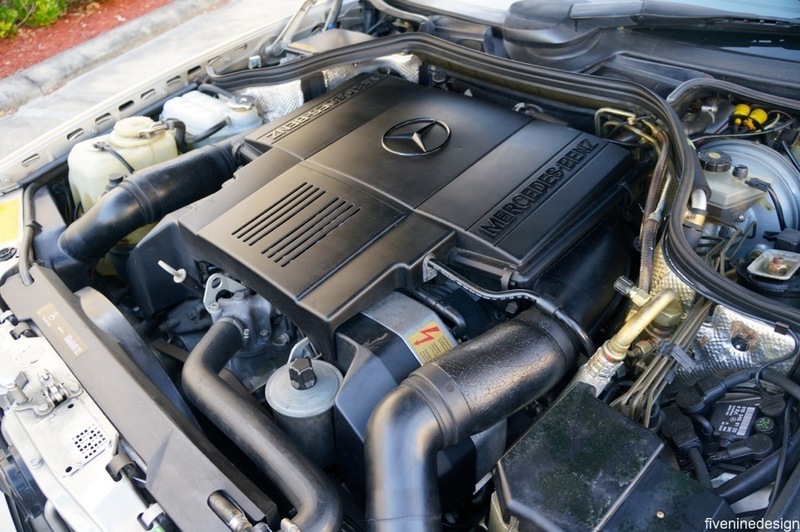 I just had the car fully serviced by a w124 specialist at Mercedes Benz of Orange Park. A new distributor was put into the car, and everything was checked to insure that the car is perfect. As of now, it needs nothing, and it runs as smooth as it did in 1994. 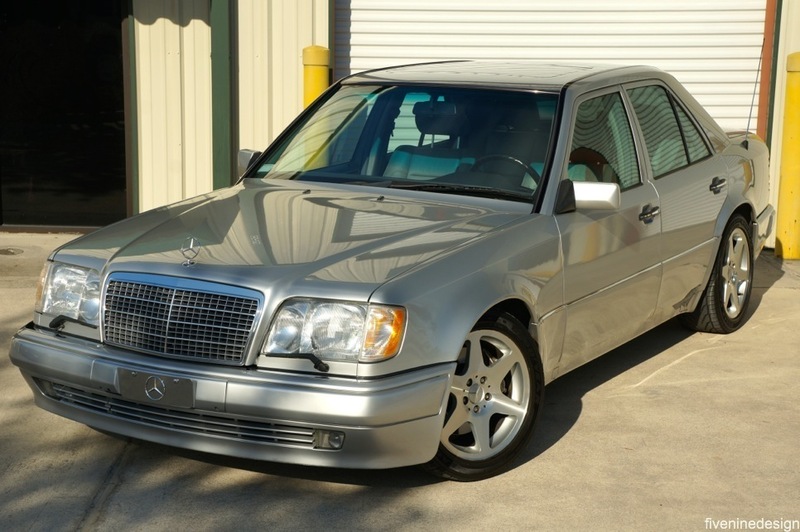 Don’t miss your opportunity to own one of, if not the best w124 500E E500 on the market. These cars are VERY rare, and this is a sure collectors piece, at what I would consider collector condition. With a very little bit of love, the car would 100% be a concourse car, but as of now, it is beyond good enough. I would not be scared to jump in this car and drive it from Florida to California. Car comes with original Manuals, and 3 keys! They don’t come like this very often, and they do NOT make them like this anymore. Currently resides in San Antonio, TX.